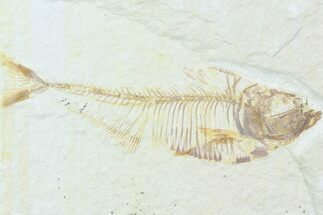 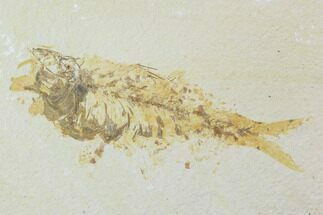 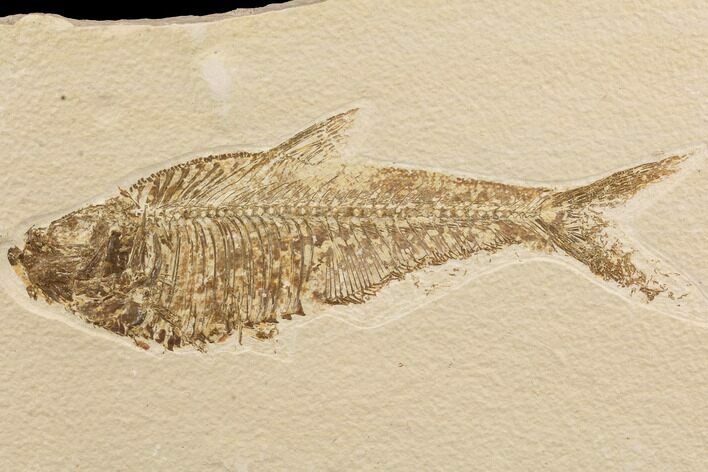 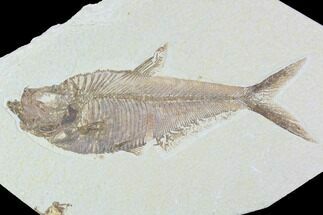 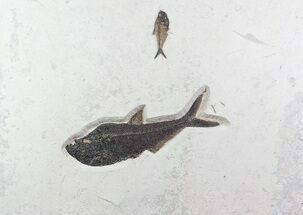 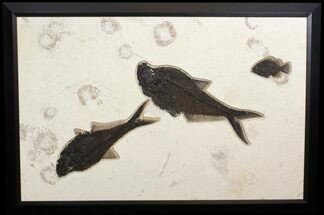 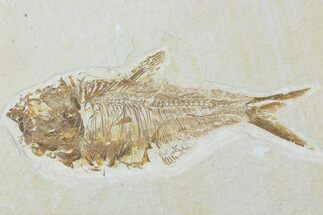 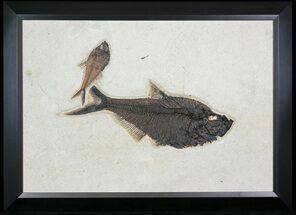 This is a 7.3" long Diplomystus fish fossil that was found near Kemmerer, Wyoming. 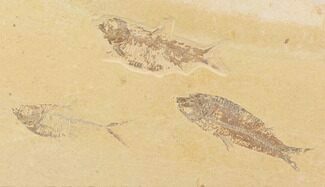 It is from the Green River Formation and approximately 45-50 million years old. 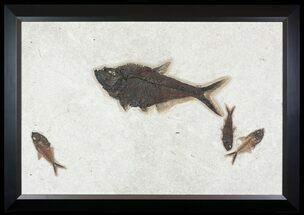 It shows very nicely on the included acrylic display stand.